Don’t take it into your heart! and thought is like ice. is outside the scope of thought. see the opus, and behold the beauty! from which the images flow. “When we are hungry, we reach for what food is available. If we are starving, we may gorge upon what is before us only to find ourselves overfed, undernourished and and in a most uncomfortable and dissatisfied state! Your soul needs better quality food. It has been detoxing. You have been shedding old thoughts, feelings, pains and struggles. Memories of the past have been flooding out of your soul, like parasites being expunged. And now, your soul thus cleansed is in need of genuine nourishment to restore it to full radiance and vitality. Love will feed your hungry soul Nothing less shall suffice. No sweet talking charmer hell-bent on seducing and moving on will make the grade. No, it has to be nothing less than genuine romancing by the Great Beloved to feed, comfort and nurse you into radiance. Only that divine finger, dipped in the heavenly honey, can be taken in by your soul now. All else will seem as empty junk by comparison. But can we summon the the strength to overcome habitual and mindless attempts at feeding on lesser substances? Oh yes! The Great Beloved shall storm through the kitchen, and with military precision clear out the cupboards, for only the best and finest, most decadent and delicious, shall do for you. This oracle comes with special guidance for you. You are being given a blessing of Zahara, of radiance, of brightness. This blessing has a purpose. It is to clear out that which would obstruct your full unfoldment to support the divine jewel of your soul in shining. You are being given an opportunity supported by life, by the earth, by the grace of the Divine Beloved, to shed toxins from your being. These may be physical and they may be of emotional, psychic or psychological origin. They may come from this or another lifetime. You may understand consciously what is being released or you may not. If you are sensitive you may feel symptoms of detoxification at a physical level, even if what you are releasing is emotional or psychological in nature. You are encouraged to complete the sacred honouring ritual, to stay adequately hydrated, and to be moderate rather than excessive in your approach. Give your body and mind time to rest and replenish so that blessing can be fully received. If you have been unwell or struggling to let go of an issue, this oracle comes as a portent of imminent healing back to good health, and of release of the issue into resolution and divine radiance. It is only a mater of timing, and that timing is imminent. We are being gifted with a healing in quite a miraculous way. This is something resolved; a life issue that has been challenging you for what feels like forever – suddenly having a solution, a conclusion, coming to fruition. It is that perfect person walking into your life at the perfect time, whether it is a romantic partner, a specialist, someone offering you a career opportunity or a raise, a teacher or mentor, or a new friend. It is a windfall when you most need it, a surprise cheque in the mail, or an unexpected gift. Open yourself to the possibility that something wonderful is on it’s way to you RIGHT NOW. A person, an experience, a material object… whatever it is, it is especially for you. Have faith that the Universe has a plan and that you will not be forgotten. Be like the children on Christmas eve, knowing with absolute conviction that Santa is on his way to bring you exactly what you have been asking for. And you are more than worthy to receive it. 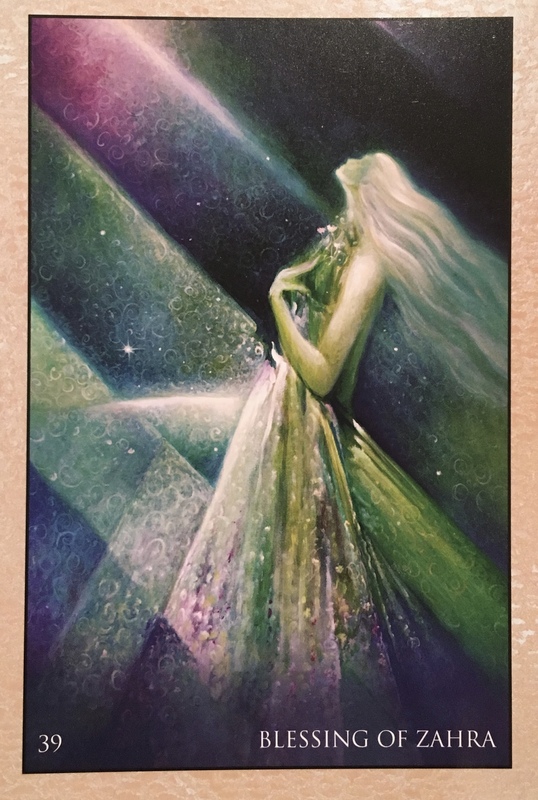 Wow, thank you so much for this reading….. means so much to me and gives me the strength to hang in there….. and I appear to be right on track….. blessings and hugs with love for all you do for others! I am so moved by this and that so many others will be too and so we are not alone in our transformations in life. A reminder of connection to the Divine Beloved that is within each of us, and so trusting that we are becoming.